There are typically five obstacles before the deeper mediation takes place. 1. First obstacle is to find peaceful environment and enough time to meditate. At the beginning be sure that you will not be interrupted. You can also use headphones and maybe some guided meditation (from YouTube), or at least some meditative music (also from YouTube). 2. After finding the peaceful surroundings, your inner surroundings wake up and form all the rest obstacles of meditation. The second obstacle is already inside of your own mind. It is your reason that starts to guide (read disturb) you, by telling about all the things that you should do right now, or just some detail of your past days you should focus on real hard etc. This is its role and just let it go through. Let the reason speak whatever there will be, just be glad that it speaks to you. All this phase takes, is a little bit time, and therefore soon your reason will understand that you do not want to act or feel or even think about anything, but just “be here and now”. 3. Usually right after your reason stops, your emotions takes charge and try to stop you, or try to force you do something. Suddenly there are so many things that just feel absolutely right things to do – maybe cleaning the house, making some home works, paying bills, going jugging, fixing the car, watching the children, taking dog for a walk etc. Just relax even more and accept your emotions, as they are, also they serve greater purpose and works for your own good. Just let your emotions enter your awareness, and then feel them as comprehensively as you can, and after that let them go. And like this, they will go, at least for a moment, and thus your meditation can continue to the next level of your unconscious mind. 4. Then after your reason and emotions, your ego has only one more trap for you. It thinks that it’s better to sleep unconsciously than to meditate. This is your own unconscious mind protecting yourself (and itself). You need to understand that also in this level, if you physically need to sleep (sleep debt), then your mind will take this on balance first (by sleeping), and only after that, meditation will be possible in this level. Remember that it is more than normal just to fall asleep during meditation, and after some time your mind will learn how to stay in the mental twilight zone. This is when meditation actually begins to work, and thus also the dreams, visions and everything else comes possible. 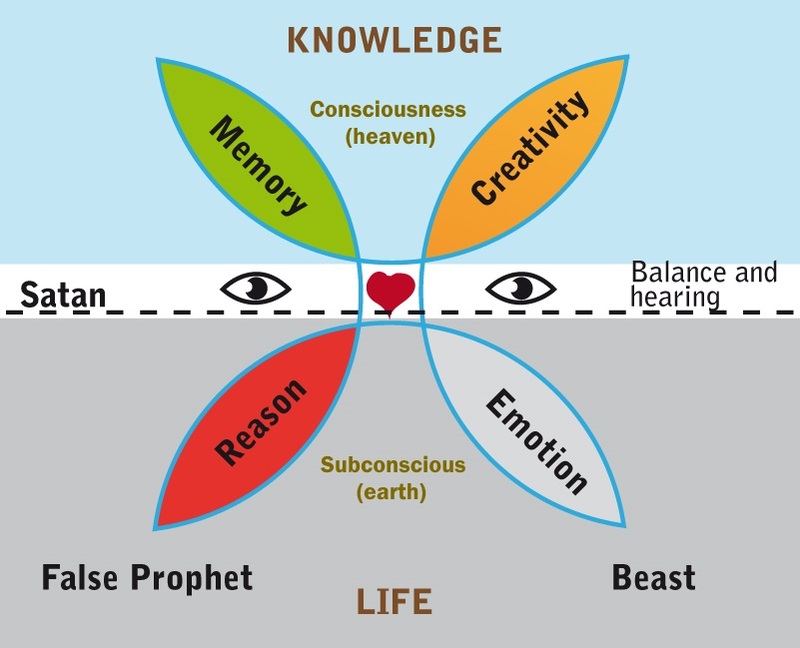 This is the beautiful tiny spot between of consciousness and unconscious mind, and between of your past and future. This spot is the absolute “here and now”. In this Body, right Here, and in this Mind, right Now. 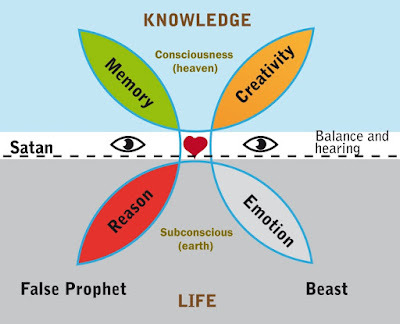 This is the tiny spot of miracles and hidden knowledge – it is the home of higher consciousness. 5. After phase four, there is still one more obstacle – continuity. 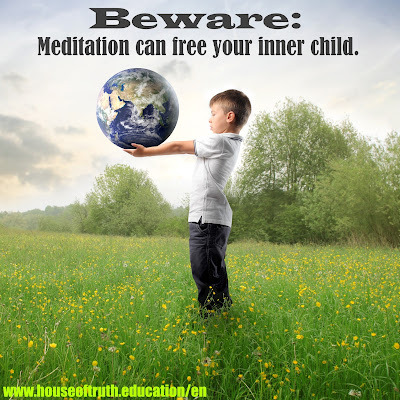 Meditation (also hypnosis, prayers, relaxations etc.) will have a major, deep impact in your life, but only when you actually build a habit of it. If you meditate only every now and then, your results will be like those of amateurs, but correspondingly if you meditate constantly, your results will be like those of enlightened pros. Will eventually make you enlightened, already in this life. 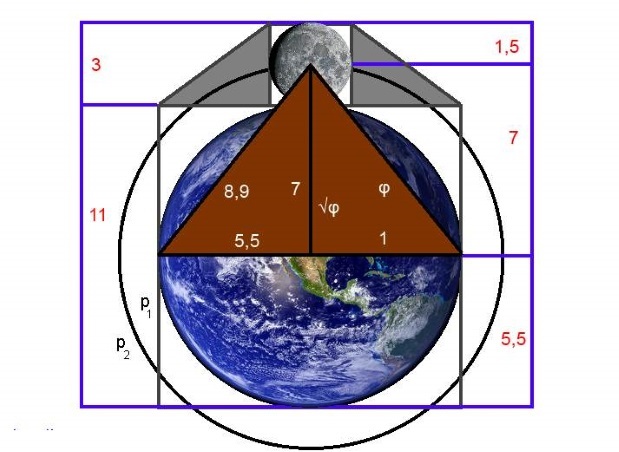 In the book Mona Lisa – Image of God is the claim that sacred book Sefer Yetzirah would include mathematical code for creating life to the Earth. 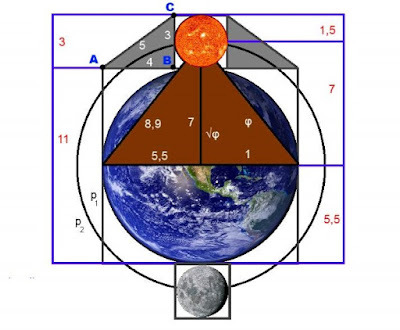 In the same "Mona Lisa" book, in the earlier chapter, the following image is named to Image of the All and Geometrical Image of God. 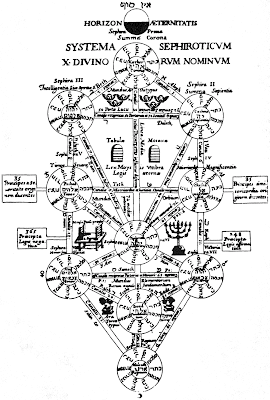 This image is considered to be sort of code-key to understand all the mysterious places and sacred books. 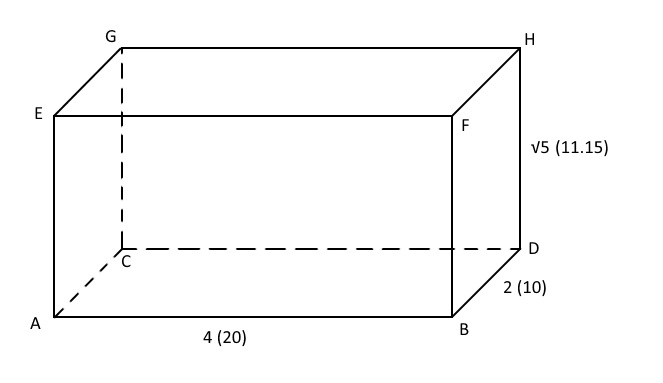 Here is presented the example number 2, Sefer Yetzirah. 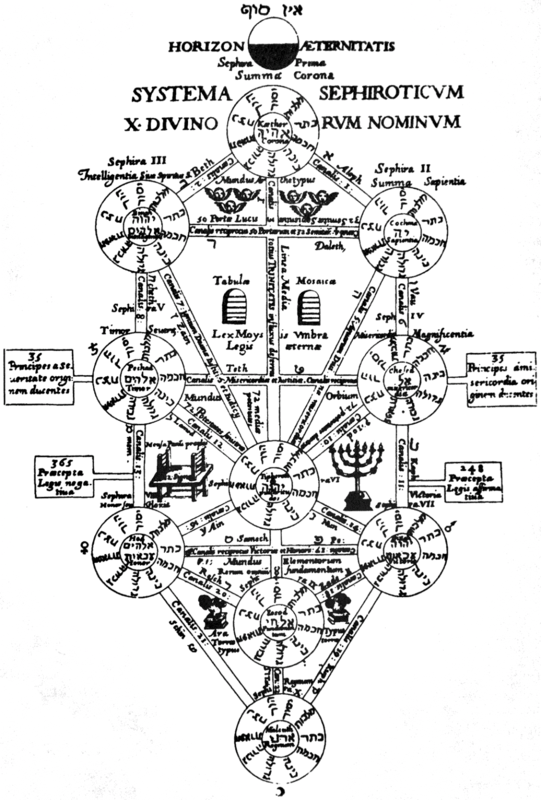 Sefer Yetzirah is the Holy Book of Kabbalah. 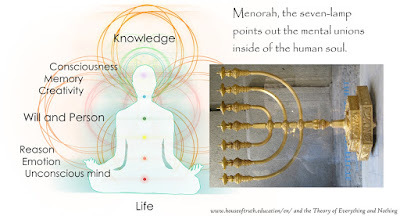 In the book, JAH the Lord of Hosts creates the universe by the three Sepharim – Number, Writing, and Speech. (KALISCH, 1877; Wescott, 1887) Next, the Image of the All is used to reveal the secret symbolism behind the story. 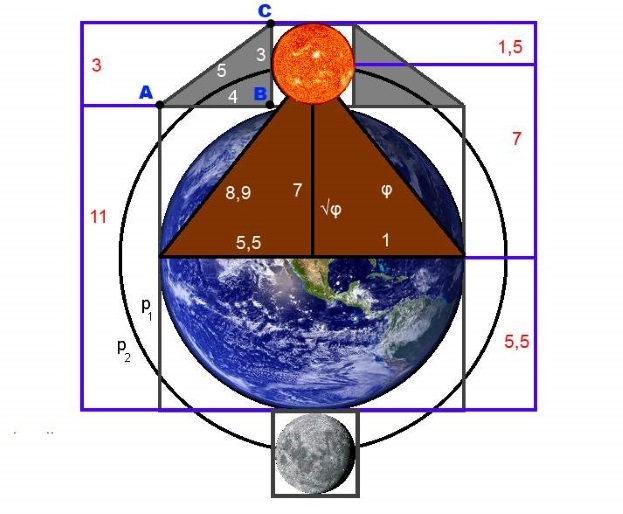 This gives us reason to think that perhaps the three mothers (Chapter 3:1) are the Earth, the Sun and the Moon of Image of God. They form a Balance described in the language of symbolism. In Chapter 2, JAH makes a sphere with 231 modes of entrance. Of course number 231 is the Key in binding together this symbolical story to the Image of the All. “These twenty-two letters, the foundations, He arranged as on a sphere, with two hundred and thirty-one modes of entrance. If the sphere be rotated forward, good is implied, if in a retrograde manner evil is intended. For He indeed showed the mode of combination of the letters, each with each, Aleph with all, and all with Aleph. Thus in combining all together in pairs are produced these two hundred and thirty-one gates of knowledge. And from Nothingness did He make something, and all forms of speech and every created thing, and from the empty void He made the solid earth, and from the non-existent He brought forth Life. That is the exact relation (3 : 7 : 11) that creates all life here on Earth. This also ends our proof, because it is now clear that Sefer Yetzirah is correct knowledge and its position as Scripture is justified. Corollary 2 concerning to Sefer Yetzirah is proved.